Blake Pyron is making history in his small town of Sanger, Texas. At just 19 years old, he is the youngest person in the town to run his own business. 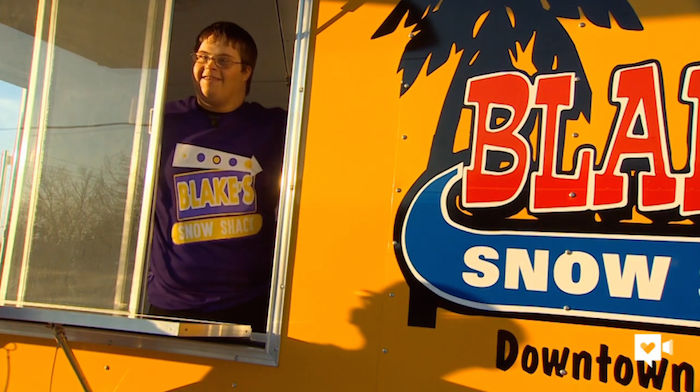 Pyron, who has Down syndrome, is the president of “Blake’s Snow Shack,” a snow cone shop slated to open this spring, ABC News reported. His parents are co-owners of the “Snow Shack,” but Pyron, who has experience working at a restaurant, will run it with the help of an employee, his 15-year-old neighbor Tanner Maples. The city council is expected to give final approval on the business on February 1.